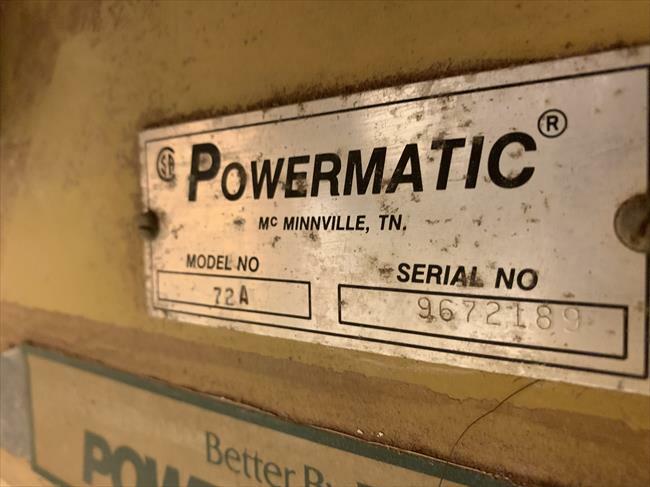 This is a 1996 (according to the serial number wiki) Powermatic 72A. 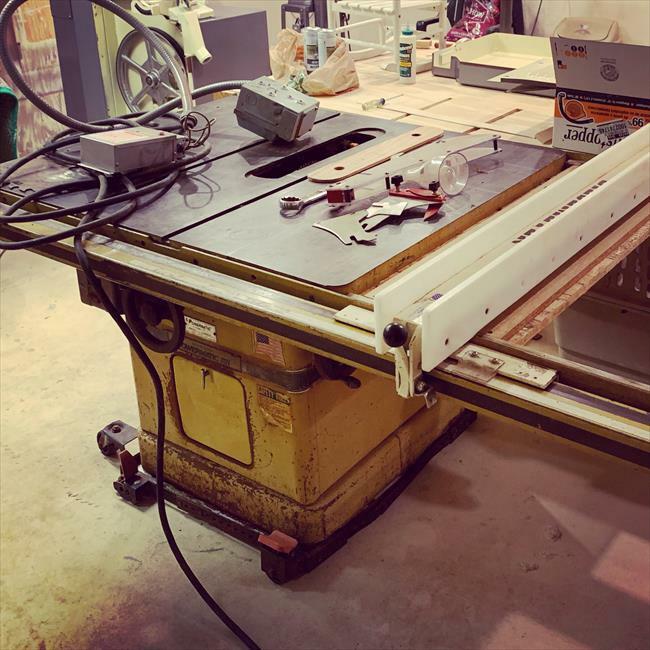 This is a true 12”/14” saw. 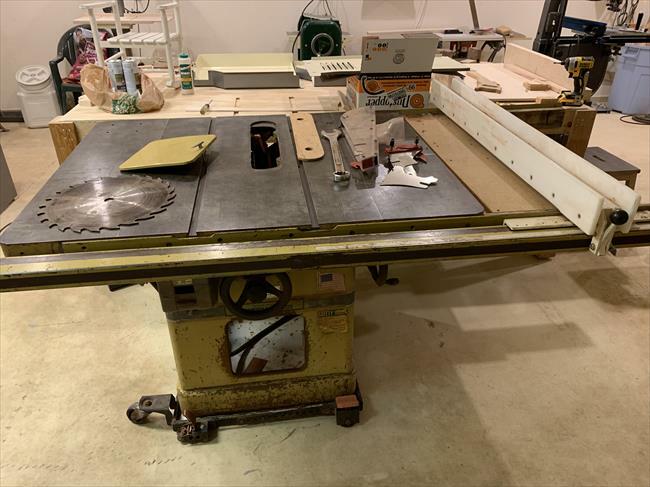 I found it in CL and ended up trading my fully restored 1968 Unisaw (with uniguard) plus $200 cash for this saw. It came with a Shark Guard and a Phase-A-Matic static phase converter. The motor started life as a 7.5hp, three-phase Baldor but it appears to have been rewound to something closer to 10 hp. I’m currently in the middle of restoring the saw. 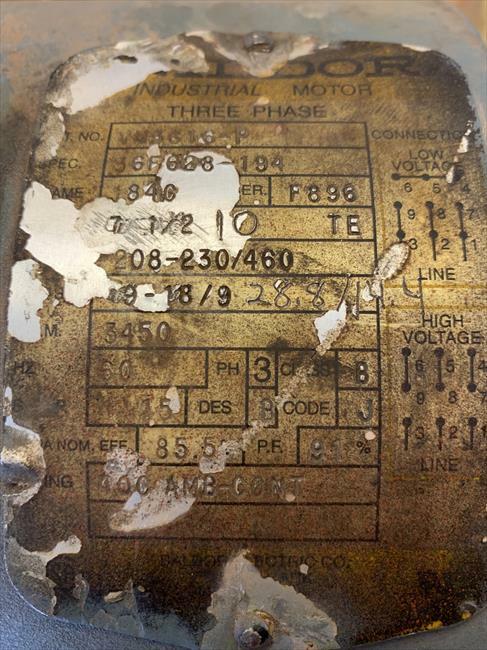 Comments: Motor tag showing new HP and FLA ratings.